It seemed like a good time to pull this review out of storage, what with Mr Abercrombie visiting London soon for an event with Myke Cole and Peter V. Brett. Find out about that HERE. 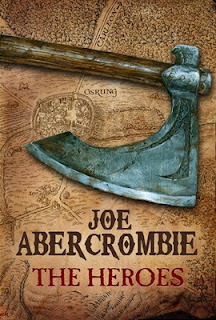 Joe Abercrombie performed a rather charming subversion of the classic fantasy tropes with The First Law Trilogy. Since then he’s been writing masterfully crafted standalone stories, which is almost a subversion of the genre itself. The Heroes is refreshing in that it doesn’t need to be told over three (or more) books. 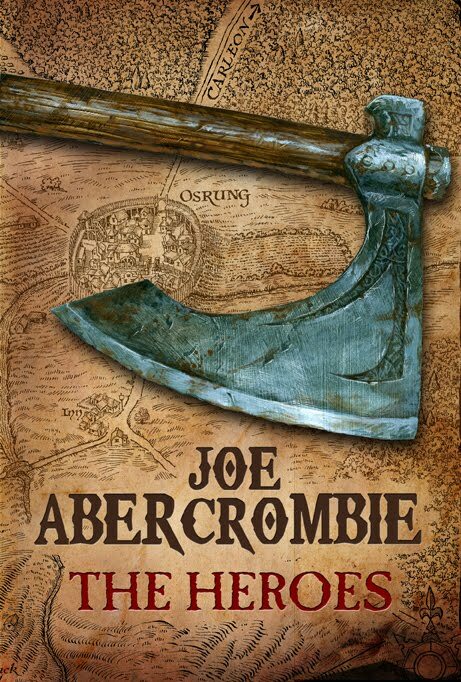 Furthermore it doesn’t matter if you’re already part of the Abercrombie bandwagon, or have just signed up; the book is rewarding to the new and returning reader alike. All high fantasy heroics and moralising go out the window from the start. This is Abercrombie territory, where men who kill don’t do so because they love it, but because they’re not really good at anything else. If you want dashing elves riding unicorns to save virginal princesses from demons, turn back now, this book is not for you. The Heroes has a stellar cast of troubled, frequently shady or outright unhinged characters that are a joy to read and will have you frantically turning the pages to see if they survive. And survival is about as much as anyone can hope for in this grim tome. Cutting back between the army of the Union and the hordes of the Northmen, we see that petty rivalries, naked ambition and internecine hostility are as much a danger to the soldiers as their enemies on the battlefield. Far from bringing the nobler aspects of the men to the fore, this battle only serves to put everyone’s motivations under the microscope – the findings are rarely pretty. It’s not all dark, gritty bloodshed though. Abercrombie’s trademark gallows humour elevates this from misery-fest to wryly-observed war story. Once again Abercrombie rewards readers with a novel you will not want to put down. A fast-moving plot, memorable characters and an epic sweep all combine to make The Heroes a fine example of the genre.